Twelve hundred years ago the people of Tibet developed a comprehensive medical system. They understood how the mind affects the body. They knew subtle ways of changing the body's chemistry with medicines made from plants and minerals. They blessed their medicines in lengthy rituals. And they encoded this knowledge in a series of elaborate paintings called thangkas. 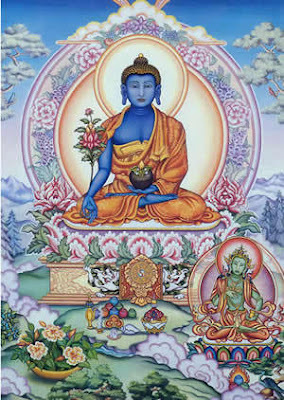 Blue Buddha: Lost Secrets of Tibetan Medicine traces the odyssey of traditional Tibetan medicine from it's roots in ancient Tibet, to a worldwide interest in it's traditional medical wisdom. We meet several leading physicians in India, as the program introduces us to the basic concepts of this ancient system of healing. We also trace the fate of the 77 thangkas that comprise the Atlas of Tibetan Medicine, the great mnemonic device that encodes the entire system of healing. From the snows of Siberia and the Himalayas to the vital culture of Tibet in exile, in Dharamsala, India, this is a stunning look at where Tibetan medicine has come from. 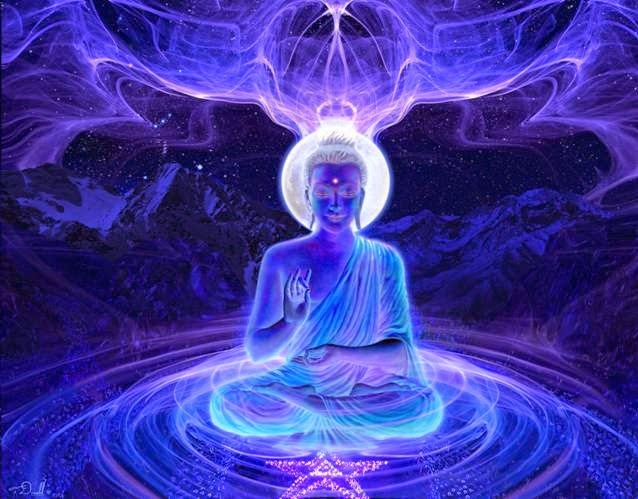 Blue Buddha: Lost Secrets of Tibetan Medicine focuses on the life of a Buddhist monk and a doctor who practices traditional Tibetan medicine in Siberia. It hasn't always been easy. At times he's been hounded by the KGB and forbidden to leave the country. Through it all he's kept his faith in the power of Buddhist medicine. This documentary follows Tuvan Lama, in his role as vital member of this remote community, as he treats his patients, conducts traditional rituals and passes on this vast medical heritage to the next generation. Just as Buddhism informs the rituals of this community, Tuvan Lama believes Buddhism and Tibetan Medicine go together, as they are inseparable. 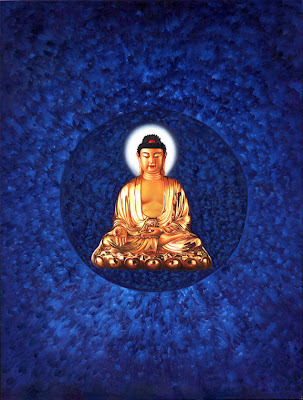 He believes one has to know the foundation of Buddhism in order to understand the foundations of the medicine. To his mind, it needs to be understood with the body, the mind, and the soul.